Here is BCA’s guide to choosing GCSE and Level 2 GCSE equivalent courses in Design and Technology (D&T) for teachers in England. Download our white paper to see our in depth comparison between Design and Technology GCSE and Technical Awards. You’ll find which D&T GCSEs and Technical Awards are eligible for league table points and progress 8. We have also included latest available discount codes for each qualification to help you decide which combination of courses are eligible for teaching this September 2017. So, if you’re still deciding on what D&T qualification to teach in 2017/18, or you want to check whether the qualification you want to teach is eligible for points, you will find this White Paper with DfE approved D&T qualifications with League Table Points and Progress 8 saves you lots of time and effort. Reforms to the national curriculum for Design and Technology mean traditional GCSE qualifications including Resistant Materials, Product Design, Systems and Control will be phased out and a single subject GCSE will be introduced. As a result teachers across England will need to reconsider the qualifications they offer to students to equip them with the skills and knowledge relevant for modern careers. This article is for teachers looking to decide between GCSEs in D&T and GCSE equivalent Technical Awards. Download DT White Paper: Approved GCSEs and Technical Awards for 2019 to check the qualifications you're considering are still on the approved list. Even though GCSEs are still considered the standard for students aged 14 to 16 in England, reforms to GCSEs in Design and Technology mean new qualifications will only begin to be introduced in September 2017, at the earliest, leading to a period of uncertainty for teachers and schools. One thing that our review of accredited specifications for the newly reformed Design and Technology GCSEs revealed is that D&T departments will need to change. This means that D&T departments with specialist teachers in only one or two of the subject areas, may require training or mentoring in the other specialisms. Increasing number of teachers are asking for training in micro-controllers, and Computer Aided Design as a result of the new National Curriculum and GCSE specifications for Design and Technology. See how these changes will affect your Design and Technology department in our White Paper. Another option for you to consider at Level 2 are Technical Awards. Technical Awards include courses in Design, Engineering and Manufacturing. You may have heard of BTECs, these are just one of the many options available under the Technical Awards umbrella. Design and Technology Technical Awards are reported alongside other qualifications such as full course D&T GCSEs, accredited IGCSE-style qualifications and gain your school league table points and eligible for progress 8. Increased calls by employers to equip young people with practical skills relevant to the modern workplace led to the Department for Education introducing Technical Awards in 2014 after an overhaul of the GCSE and vocational system. Technical Awards increasingly include businesses and professional bodies in their design and delivery, and are favoured by schools and colleges preparing students for modern careers in IT, Technology, Design, Engineering and Smart Manufacturing. Technical Awards are skills focused, at the same time underpinned by academically rigorous STEM learning. Technical Awards emphasize problem solving and practical project work. They are designed to address skills, challenges and opportunities of the 21st Century. They are increasingly replacing GCSEs in Design and Technology as part of a balanced portfolio of academic and practical subjects offered by schools. Technical Awards cover traditional Engineering qualifications such as BTECs, as well as modern courses such as BCA’s Smart Product Design Manufacture courses, accredited by awarding body TLM. 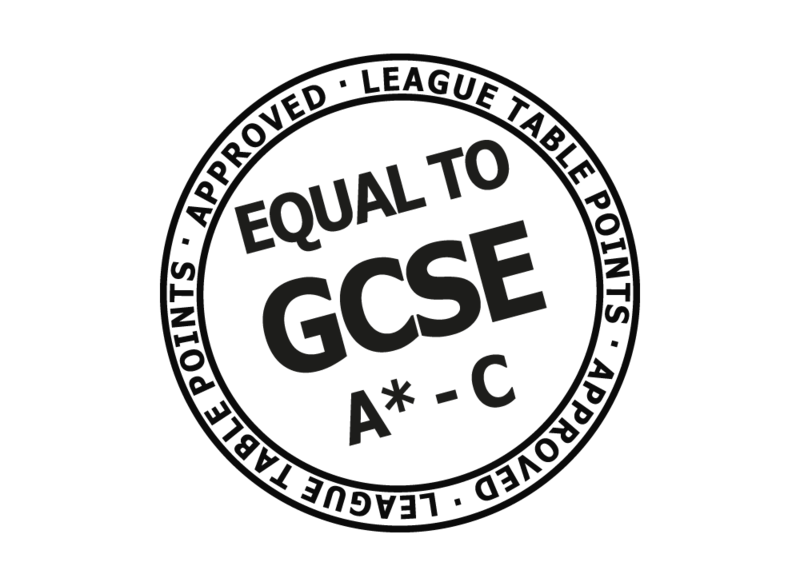 Many Level 2 Certificates or Technical Awards carry league table points and are equivalent to GCSEs. When considering “Which qualification is right for your school and students?”, one of the key decision criteria is whether a qualification count towards a schools’ performance points and progress 8. All the qualifications listed in our White Paper are eligible for 2019 League Table Points or Performance Points and approved by the Department for Education. Another consideration is Progress 8 measures. Currently Design and Technology GCSEs are not listed as an EBacc subject, this means it can still count for a school’s Progress 8 measures under ‘Bucket 3’, putting it in the same position as D&T Technical Awards. Find out what this means for your D&T options in our White Paper. A further consideration is the “discount code” of a qualification. This is relevant if you are considering teaching more than one course from the Design, Engineering and Manufacturing disciplines. In our Design and Technology GCSEs and Technical Awards White Paper, we list the DfE approved GCSEs and Technical Awards in Design and Technology, Engineering and Manufacturing categories, along with their discount codes, so teachers can quickly review qualification categories. Download our white paper now to see our in depth comparison between Design and Technology GCSE and Technical Awards, including a review of the differences between the specifications, which ones are eligible for league table points and a comparison of discount codes to help inform which combination of courses are eligible for teaching alongside each other.